Axon Accelerate is the leading technology conference for public safety connecting people, technology, and training. Axon recently announced former US Army General Stan McChrystal as the keynote speaker for Axon Accelerate 2019, the leading technology conference for public safety professionals. 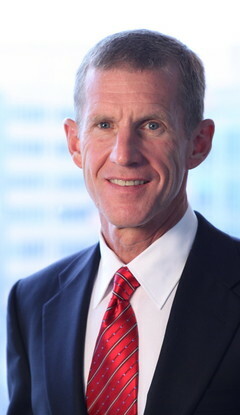 The retired four-star General McChrystal will deliver the keynote speech to conference attendees on May 1, 2019 at 3:00 p.m MST. Axon Accelerate takes place April 30 through May 1, 2019 in Phoenix, Arizona. For more information and to pre-register with early bird pricing please visit: axon.com/accelerate/register/2019. Axon Accelerate is a two-day thought-leadership symposium for public safety professionals from around the world. It offers hands-on training, lectures and interactive workshops. Now in its fourth year, Axon Accelerate 2019 will feature more than 100 sessions with more than 50 speakers. From April 23-27, 2019, Axon is holding a Master Instructor School where attendees can become qualified instructors of the new TASER 7 conducted energy weapon. A certification day will be held on April 29, 2019 where registrants can become qualified experts on specific Axon tools including redaction, reporting, case sharing and hardware troubleshooting.